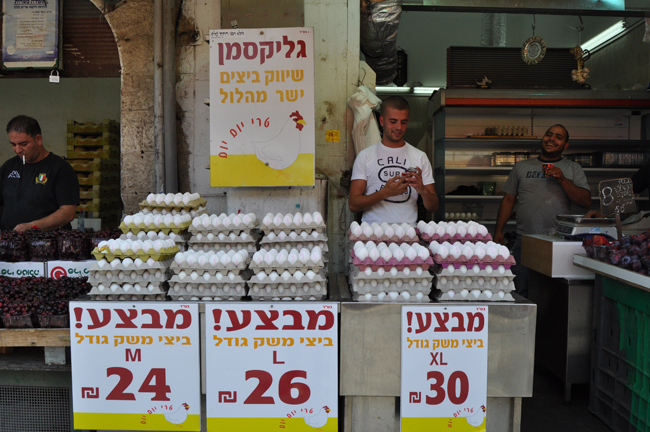 Yehuda Ochaion opened his stand 30 years ago, and has been selling eggs and pickles ever since. Today, Yehuda's son Shlomi, who has been in the Machne Yehuda market since he was 13 years old, manages the employees and the products. Instead of pickles, they sell fresh fruit. 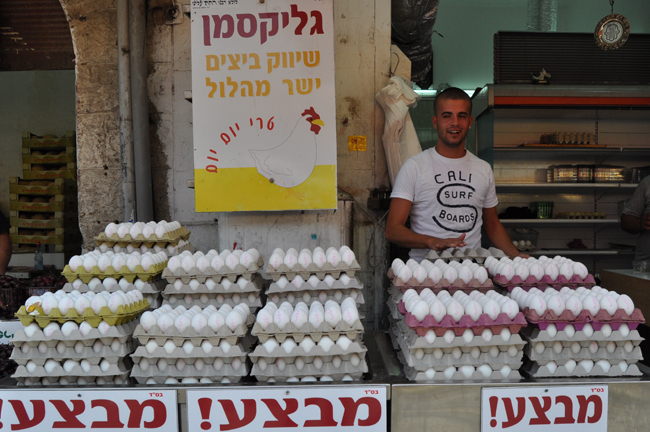 The eggs come from Moshav Kisalon, and the fruits from the Golan Heights. There’s no place like Machne Yehuda.